Our G.P's and staff at North Glen Medical Practice in Glenrothes are proud to offer the highest standard of patient-centred healthcare. We run many clinics for the management of chronic diseases such as asthma and diabetes and offer a wide variety of other medical services including antenatal and postnatal care, childhood vaccinations and well-person check-ups. Please have a look around our website and meet our team. We welcome feedback from our patients. What's new at North Glen? Important patient information - EASTER PUBLIC HOLIDAYS - Practice Closure. We would like to advise all patients that the Practice will be closed for the Easter Public Holidays on Friday 19th April 2019 and Monday 22nd April 2019. The Practice will re-open on Tuesday 23rd April 2019 at 8am. If you require medical assistance during this time that cannot wait until the practice re-opens, please contact NHS 24 by dialing 111. Important patient information - Planned practice closure for staff training. We would like to advise all our patients that the Practice will close for staff training at 1PM on TUESDAY 14TH MAY 2019. Signs will also be displayed within the Practice. Staff training is very important to the Practice as it ensures we continue to offer the highest level of patient-centred care to all our patients. Between 1PM and 6PM that afternoon, an EMERGENCY SURGERY ONLY will operate for any medical issues that cannot wait until the following morning. We would like to thank our patient's for your continued support. The practice has to issue a maximum of 30 days supply on prescription - quantities may be reduced to 28 days supply to comply with this. Gabapentin and pregabalin are no longer allowed to be supplied via the Chronic Medication Service' offered by community pharmacies. Prescriptions need to be issued by the practice each month. Please note that prescriptions for either of these medicines WILL NOT be replaced if lost and WILL NOT be issued early. We would like to advise all our patients that medical students from St. Andrews University will be joining us for day placements between 26th February - 23rd April 2019. North Glen Medical Practice is proud to assist in the teaching and development of our future Doctors within a general practice setting. If you do not wish a medical student to be present during your consultation with a GP, Nurse Practitioner or Treatment Room Nurse / Healthcare Assistant, please make our reception staff aware when you check in for your appointment. Notices will also be displayed within the surgery when a medical student is on day placement. Do you need help with a muscle of joint problem? Did you know, that in the last year alone, 28 TONNES of unused medicines waste was returned. The cost to NHS Fife was over £2.1 million. We would like to update our patients on the current situation with GP services in North Glen Medical Practice. We would firstly like to reassure our patients that we continue to proactively try to recruit a replacement G.P. for our Practice, however this continues to be a challenge and one that is nationwide across Scotland. NOT EVERY CONDITION REQUIRES AN APPOINTMENT WITH A G.P. We thank you for your understanding during this challenging time. When you’re ill or injured it’s vital to know who to turn to for the right medical assistance. Choosing the most appropriate service ensures that you receive the best treatment in the shortest possible time and also helps NHS services to run more efficiently. This website will help you to select the best service for your needs when you feel unwell or are injured. Most of the time you will be able to receive the most appropriate care from your Local Pharmacist, GP Practice or by looking after yourself. It’s important to remember that Accident and Emergency and 999 services should only be used when people are seriously ill or injured. The surgery has a ramp to enable wheelchair access to the surgery. 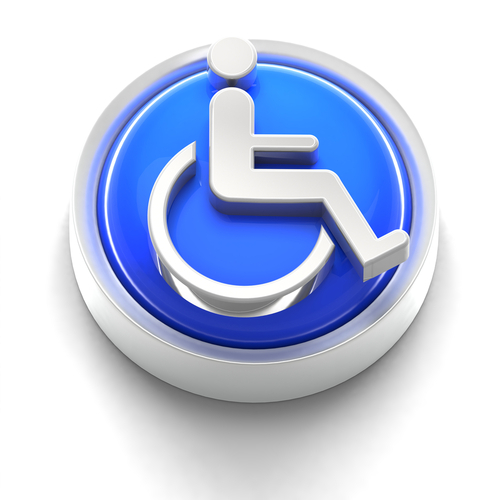 The treatment rooms are fully accessible to wheelchairs but in some of the older rooms it is difficult to maneouvre a large wheelchair, please inform staff at the front desk if this is the case and they will ensure you are seen in a suitable room with minimal inconvenience .